Rate this project MX Linux 14, a Debian and antiX-based distribution developed in collaboration with the MEPIS Community, has been released for the 32-bit architecture: "MX Linux 14 is a mid-weight operating system designed to combine an elegant and efficient desktop with simple configuration, high stability, solid performance and medium-sized footprint. 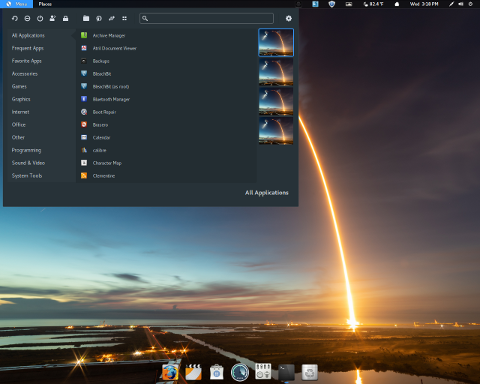 The base depends on the excellent upstream work by Linux, Debian and Xfce. 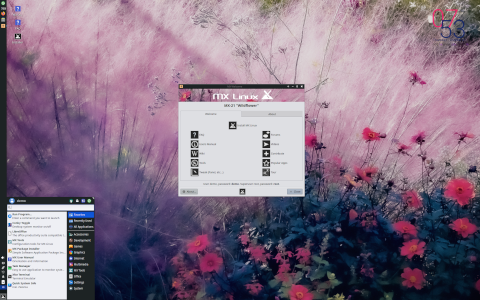 MX Linux 14 also incorporates the independent and innovative development products - Whisker Menu, simsu and gottet, QupZilla Browser, smxi and inxi. We think you will enjoy it! MX Linux 14 is based on Debian 7 'Wheezy' and is enhanced with more up-to-date applications from the Debian Backports and MEPIS Community repositories...." The release announcement can be found on antiX's news page, and screenshots as well as a video introduction are available MEPIS Community's on the MX project page. Download (MD5) the live CD image from SourceForge: MX-14.iso (696MB). Update: a non-pae version of MX-14 was also made available on March 28: MX-14-non-pae.iso (694MB).